MYRC will host an Indoor and Outdoor Games day featuring Sumo wrestling suits, Giant games, ping pong, table tennis, pool, video games plus FOOD and more! 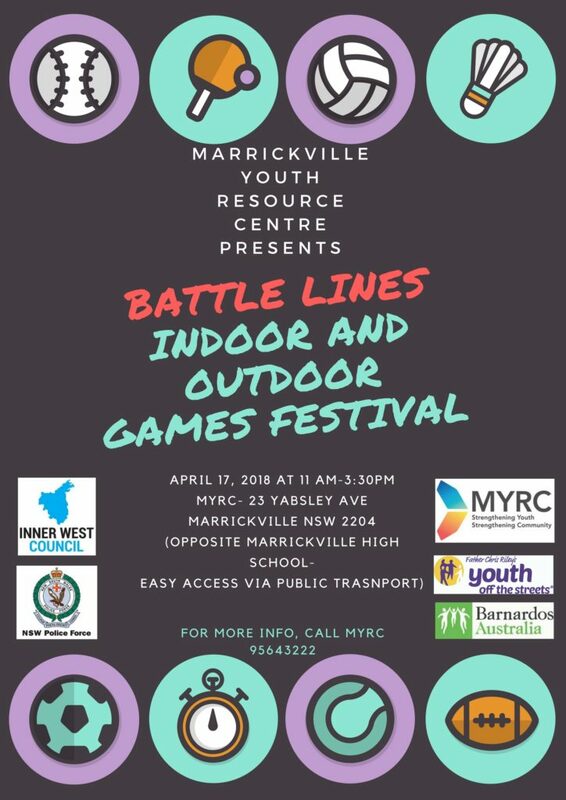 A partnership between MYRC, Inner west council, Youth off the Streets, Barnardos and NSW police. FREE from 11-2pm in Jarvie Park, Marrickville. It will also be a great chance to sign up for the rest of our school holiday program activities!